Are you in the process of planning an event and thinking about which entrees you’re going to serve during it? This can be a tough task, especially if you’re expecting a large crowd. It can be almost impossible to make everyone happy when it comes to choosing entrees people will enjoy. That said, it’s not impossible to satisfy most of the guests who will show up to your event. Here are several tips for selecting the right entrees. Consider the crowd before selecting your entrees. Before you begin picking out entrees for an event, think about what kinds of people are going to be attending it. Is it going to be a younger crowd? Steering clear of anything too fancy might be the way to go. Is it going to be a crowd that has more refined tastes? You might be able to experiment with the menu a little bit more. Whatever you do, just don’t take a one size fits all approach. Your entrees should reflect your guest list. Stick with at least a few of the basics. There’s a reason why most people serve some combination of chicken, beef, and fish at a wedding. Most people like one of these three options. You might be tempted to go in a different direction to spice your menu up. But you’re going to be taking a risk when you assume people will be able to find something they like. The basics are usually your safest options. Cater to vegetarians, vegans, and those with food allergies. When picking out entrees for an event, don’t forget those who are vegetarians and vegans as well as those who might have food allergies. There should be at least one entree that works well for these people. Otherwise, they might not be able to eat at all during your event, which will obviously hinder their ability to have a good time. 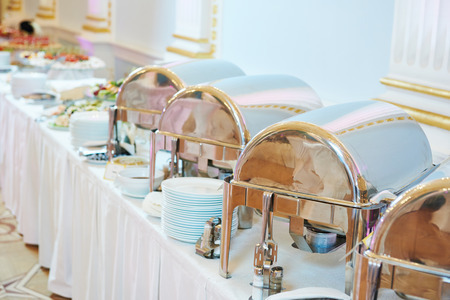 Are you struggling to find the right entrees for your next event? R&R Caterers can show you a large selection of food and help you pick what will work best for you. Call us at 215-638-7376 today to start the process of picking entrees.